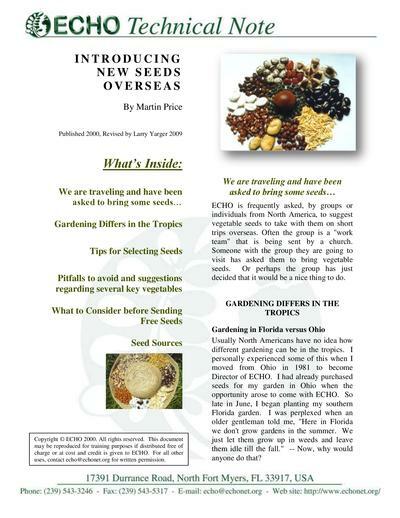 ECHO is frequently asked, by groups or individuals from North America, to suggest vegetable seeds to take with them on short trips overseas. Often the group is a “work team” that is being sent by a church. Someone with the group they are going to visit has asked them to bring vegetable seeds. Or perhaps the group has just decided that it would be a nice thing to do.